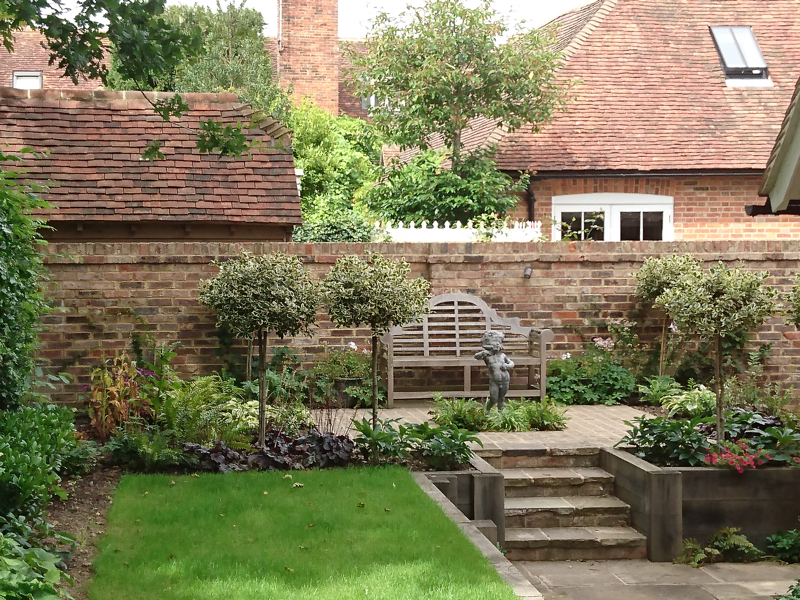 We recently designed, built and planted this lush town garden in the middle of Cranbrook. 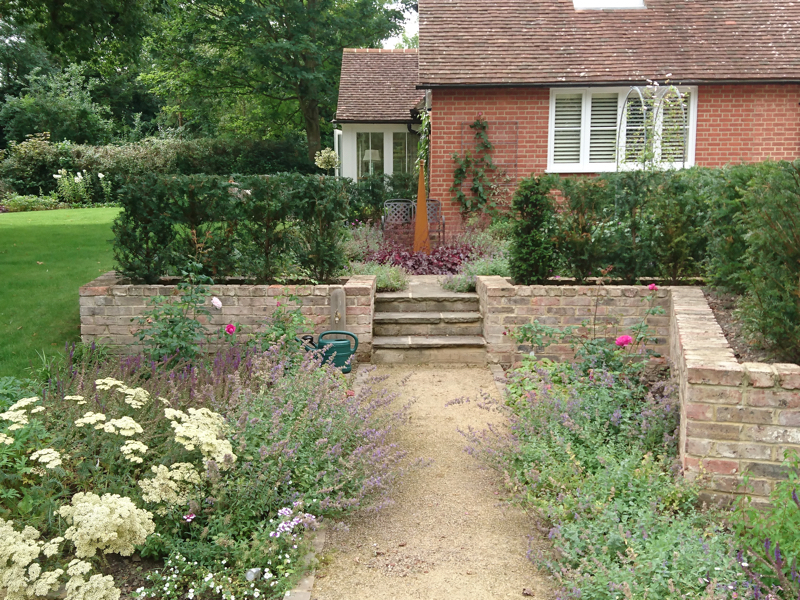 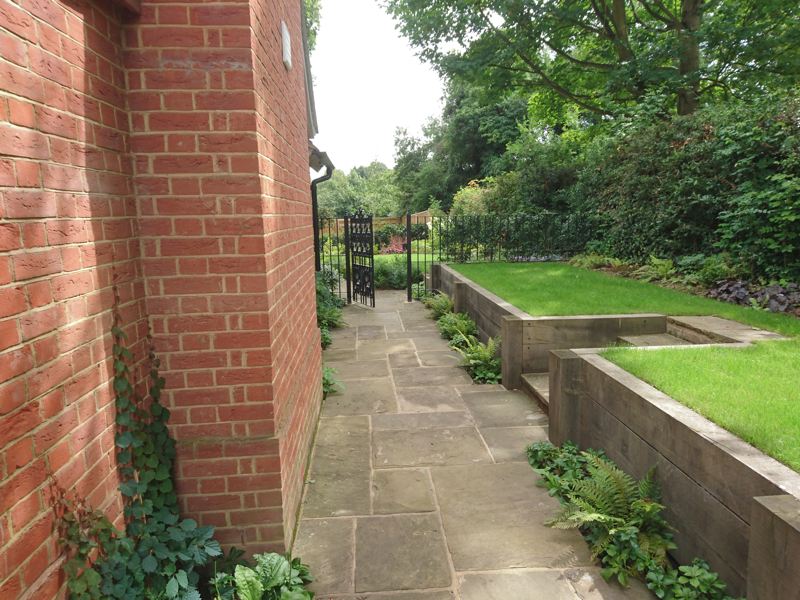 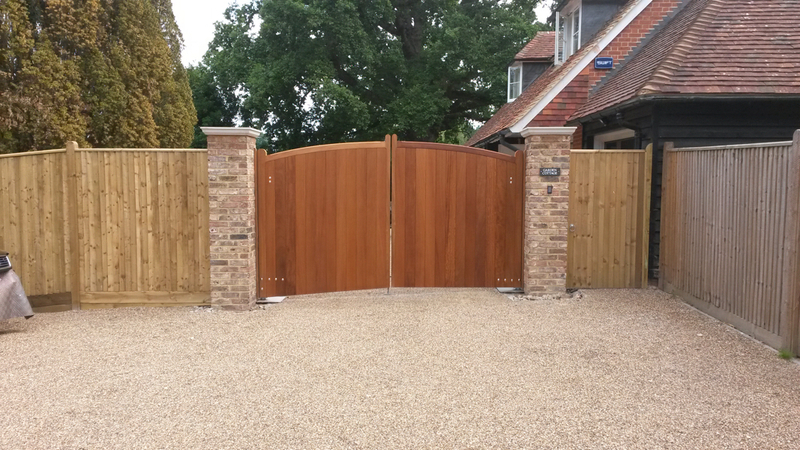 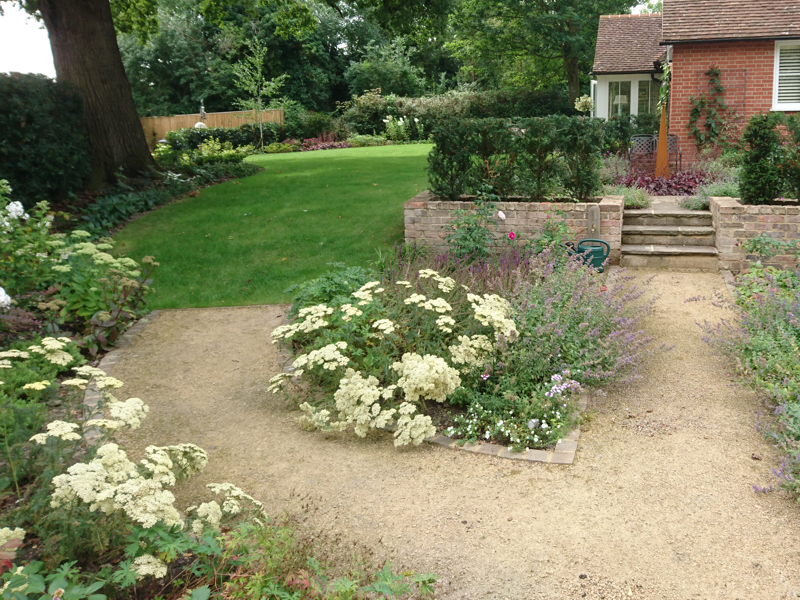 The client wanted to create a typical country garden using reclaimed materials like Cathedral grade Yorkstone and stock bricks. 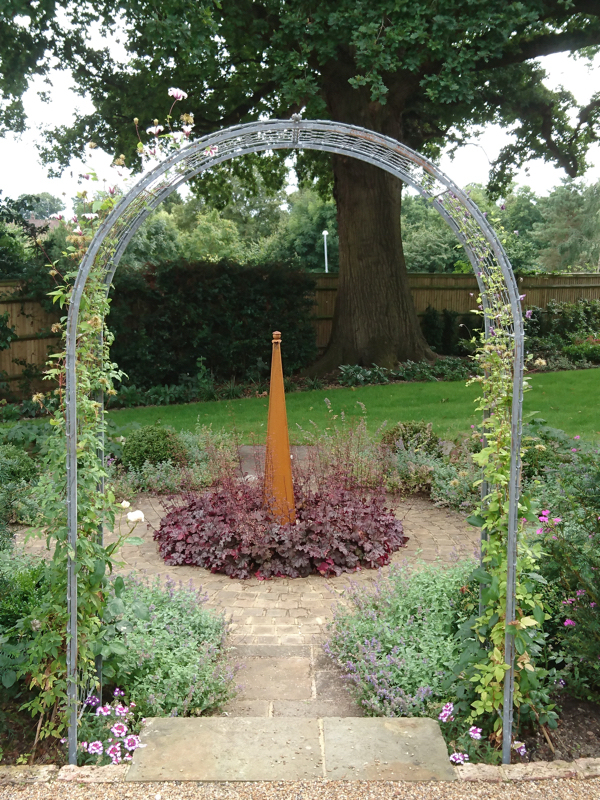 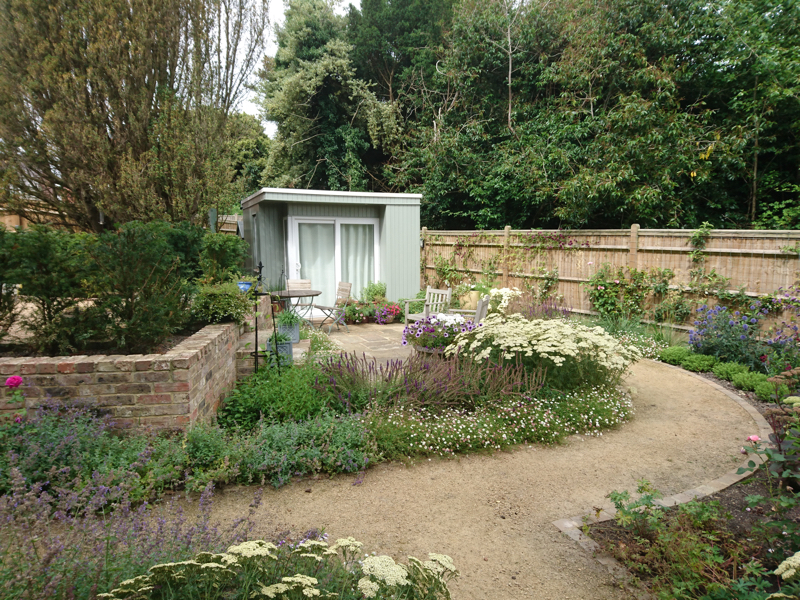 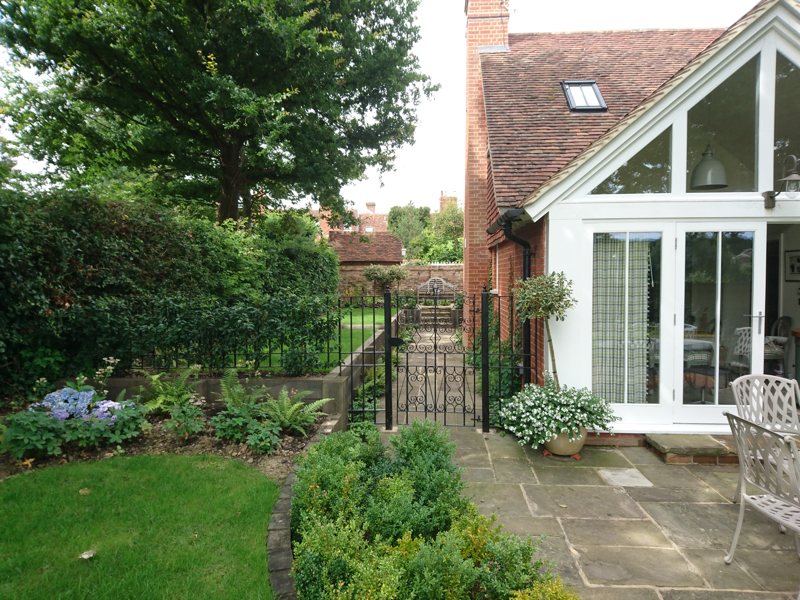 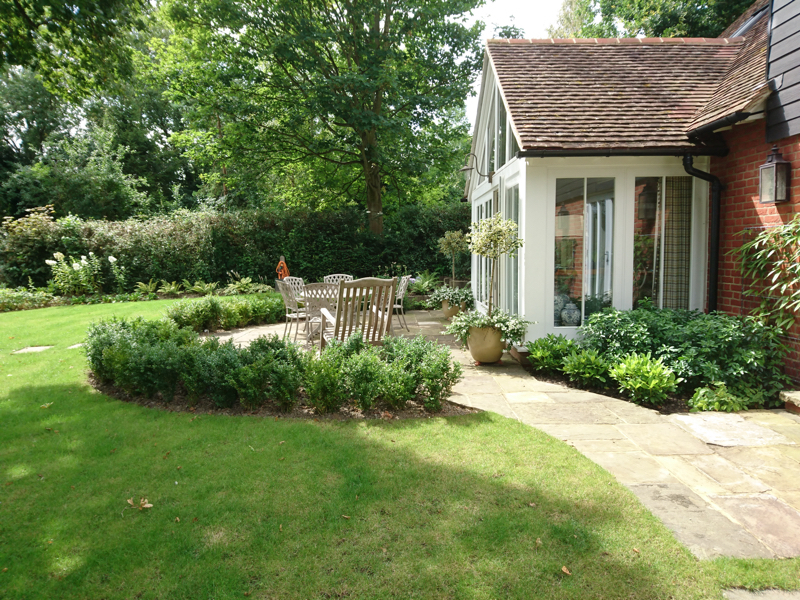 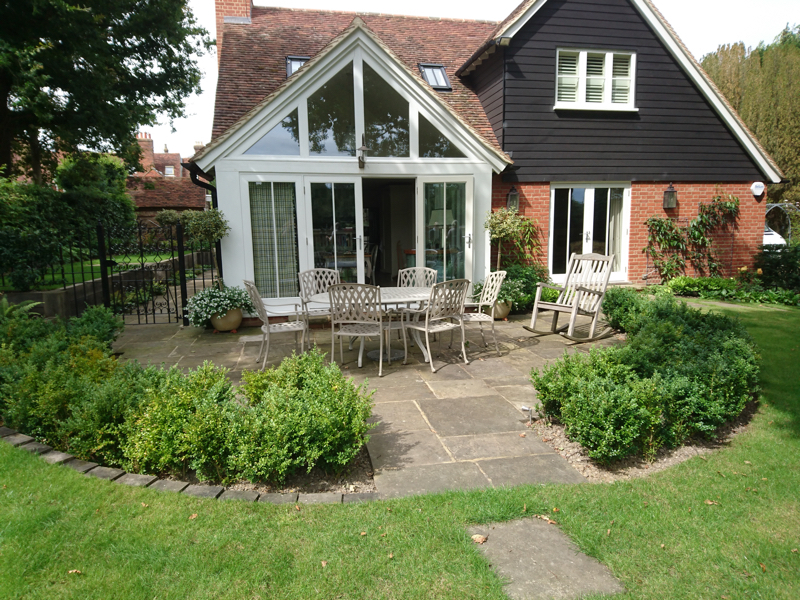 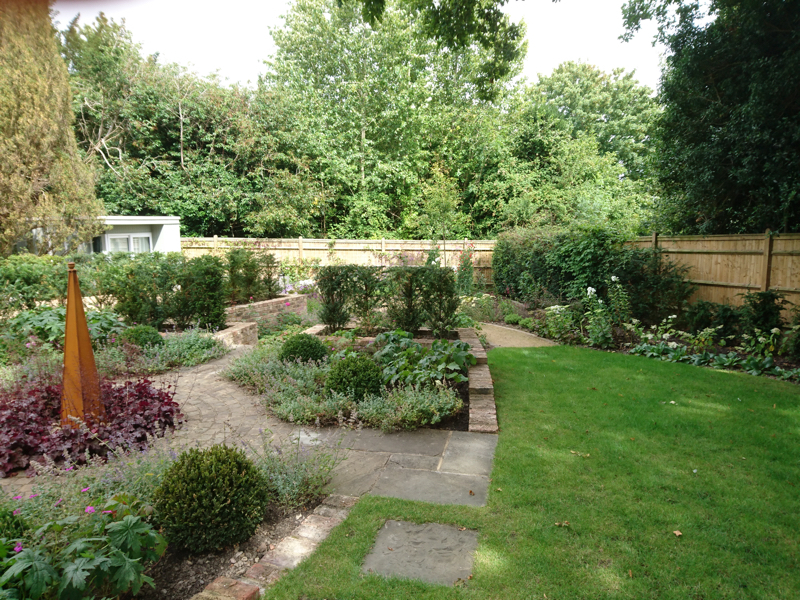 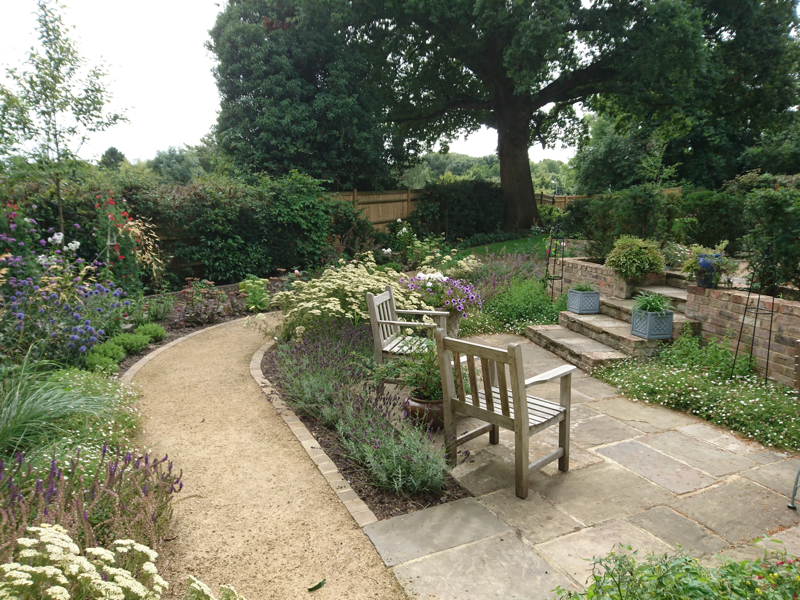 The planting had to be predominantly shade tolerant as the garden is in a conservation area which meant that a number of mature oaks casting shade on the garden had to be retained.